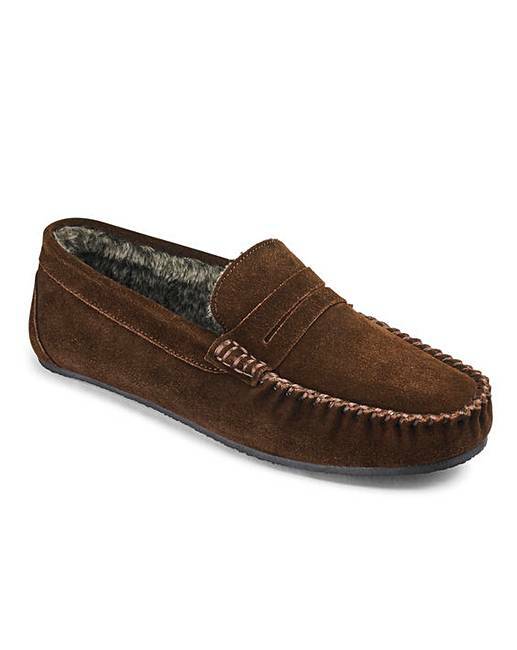 Suede Saddle Loafer Slippers is rated 4.6 out of 5 by 34. 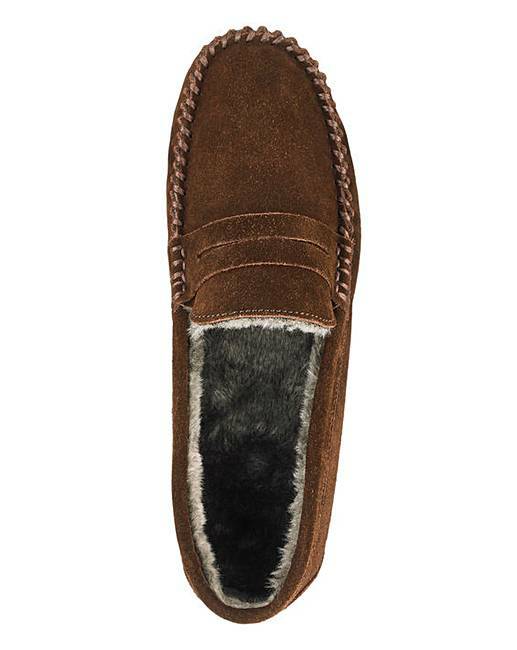 Treat your feet to a pair of luxury suede slippers, the epitome of luxury and comfort. 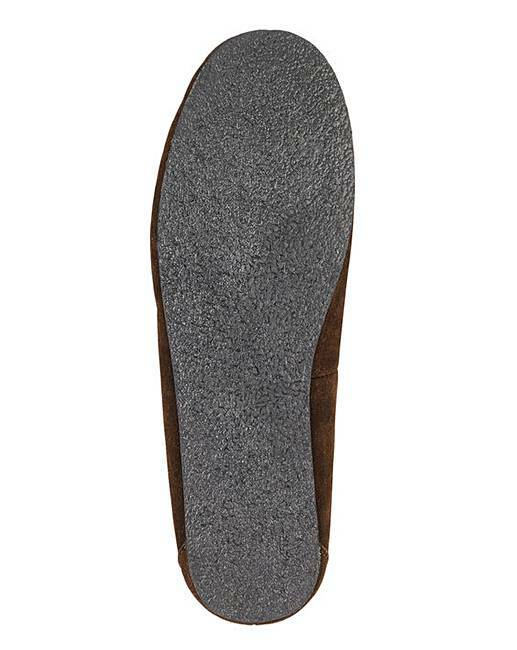 Lined with a soft and cosy plush lining and with a rubber outsole, they are both comfortable and durable. Perfect for the colder months, as a treat for yourself or as a gift. Rated 5 out of 5 by Kazza from Lovely! 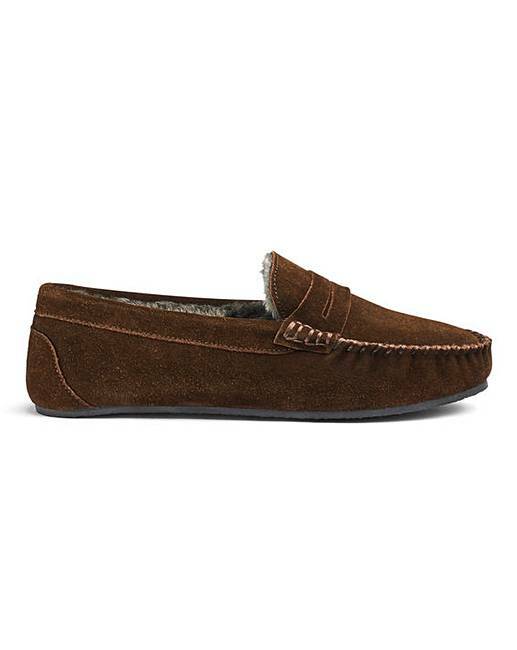 Bought for my husband, wanted something warm and comfy which also looked stylish and these slippers definitely do all the above. They look to be more expensive than their reasonable price. He's happy! Rated 5 out of 5 by Joe86 from Great fit Really happy with the slippers. Great fit, great colour and a great price. Can't wait to start wearing these, especially in the winter as they look very warm!